Adding Best Plants for Hanging Baskets on your front porch railing is a fabulous way to welcome spring and boost your curb appeal. This post contains affiliate links for your shopping convenience. Click here for my complete full disclosure policy. 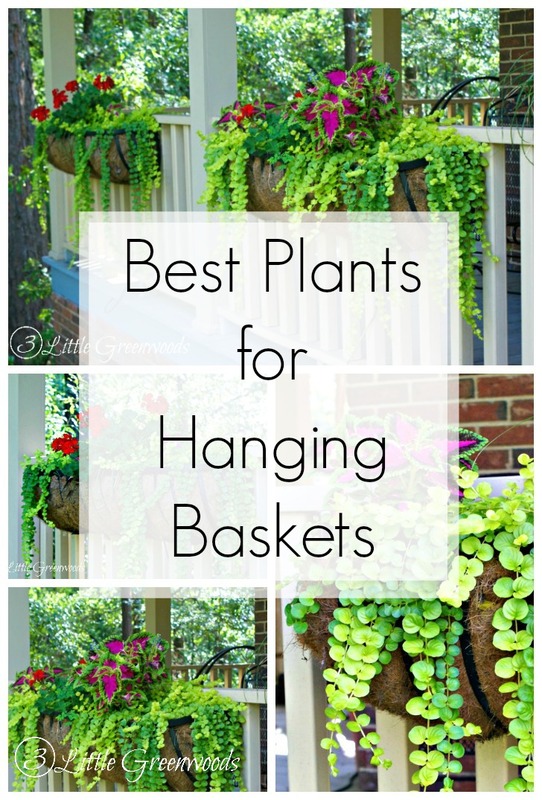 Ever wanted to know how to hang your own larger planters? It’s easier than you think! 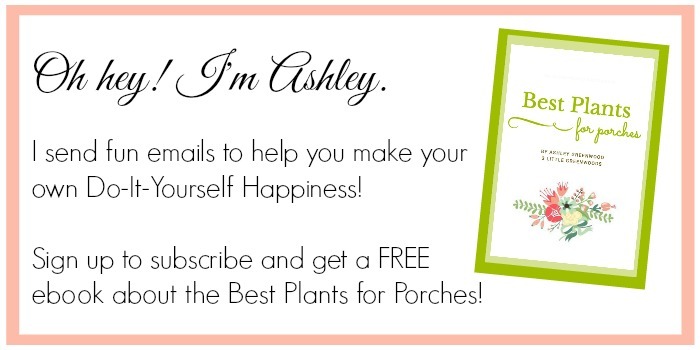 Come see my top three favorite plants that will make your neighbors green with envy! 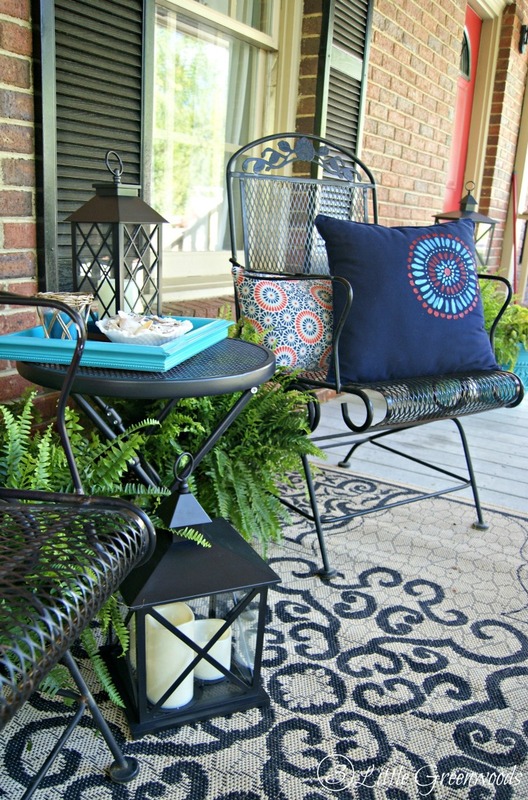 One of the main reasons we chose our home was this fabulous front porch. We use it almost year round for swinging on the porch swing, eating popsicles in summer, and reading under a blanket in fall. There are three long planters that I love filling each season with flowers. As soon as the temperatures warm up enough for spring planting I head to the local garden center for the easiest and best plants for a hanging baskets. 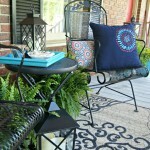 Searching for front porch planters for your home? 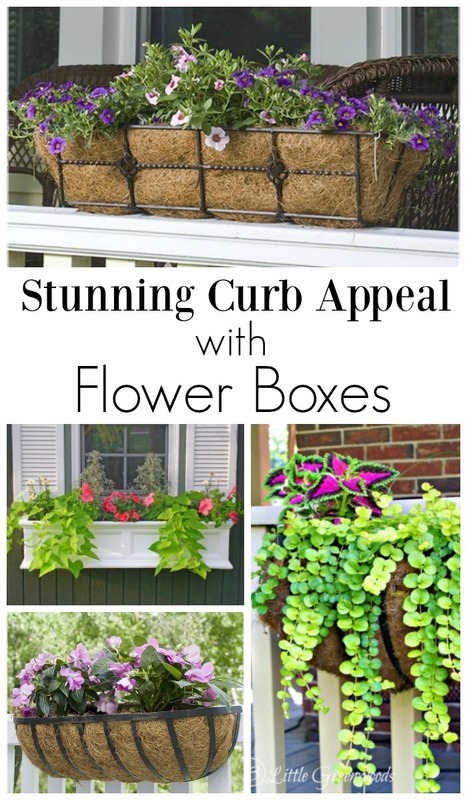 Check out these 10 Flower Box Ideas for Instant Curb Appeal! These Metal Trough Planters are our favorite. They have held up year after year with only a small amount of wear. Next you are going to need quality Coco Fiber Liners for the Metal Trough Planters . You don’t want all your potting mix and flowers to fall out. 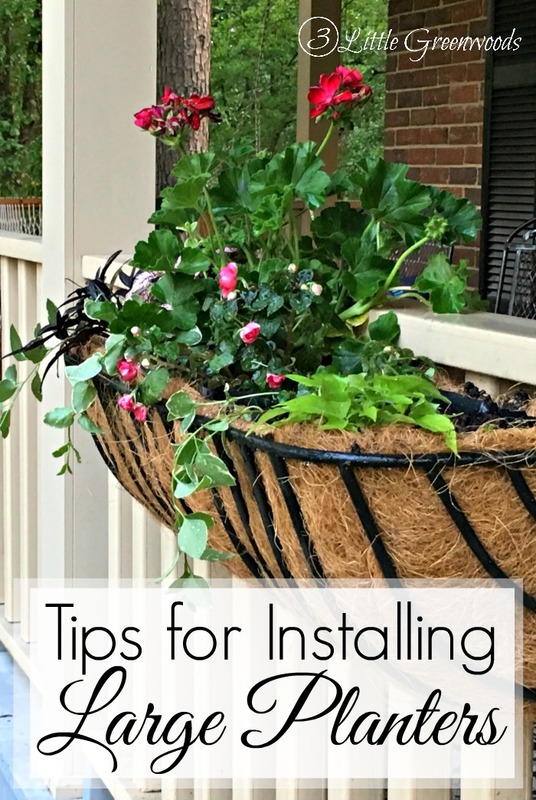 Once you have the planters installed on the porch railing and filled with soil it is time to add the best plants for hanging baskets. My favorites are geraniums, coleus, and creeping jenny. The vibrant coleus has got to be the easiest to grow. If a branch gets broken just push the broken piece into the soil. It will sprout roots and keep growing! Now that’s my kind of plant! Since my favorite color is red I always add red geraniums to our hanging baskets. Their bright color and large green leaves add height to the basket. But the winner of this trio is the amazing creepy jenny! I love how fast it grows and the way it drapes over the basket. 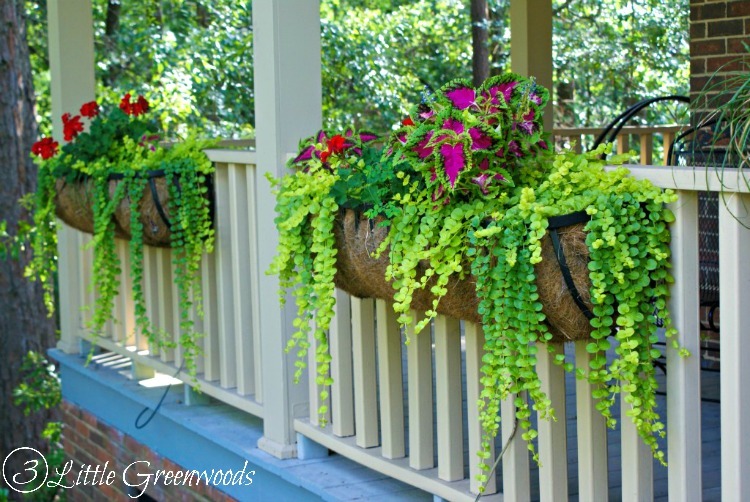 It’s limey green color is fantastic and the tiny leaves add great texture to the hanging basket. We used these same plants for our Front Porch Makeover. 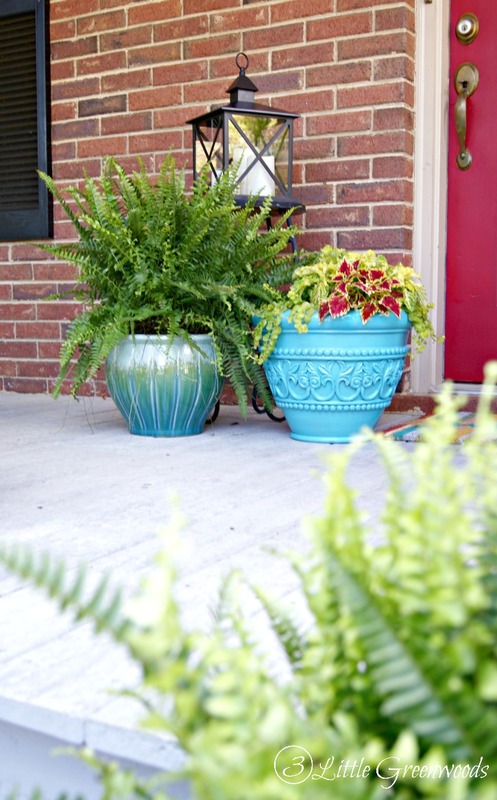 They looked fabulous in bright blue pots and totally pop against the red front door! Before you leave make sure to check out these fabulous planters. You are sure to find the perfect one for your front door! 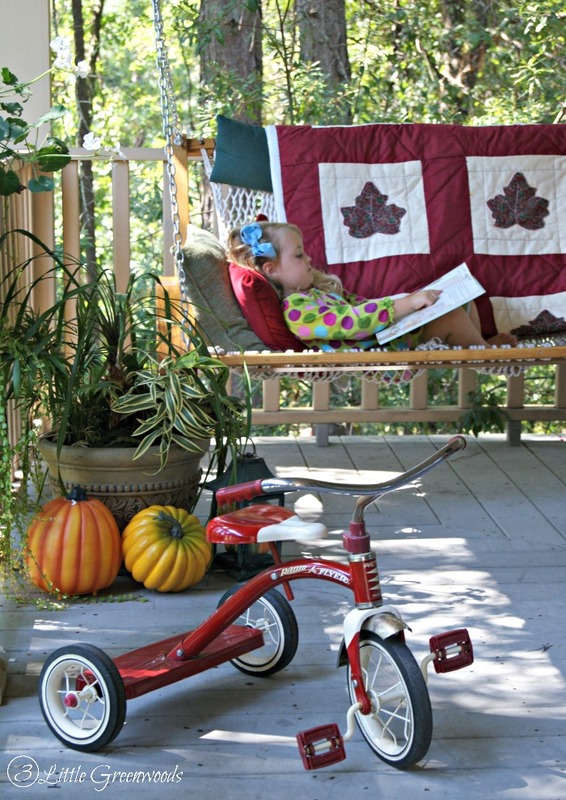 In the Fall, the children use the front porch swing for cuddling up with a warm blanket and reading their favorite book. Wishing you dirty hands and beautiful flowers this spring! I hope you have been inspired to create your own best plants for hanging baskets! I love your planters! The creeping Jenny is great! The previous owners planted Creepy Jenny around our small fish pond. It is a very pretty ground cover! I love your planters! Not only are the red geraniums beautiful but all the different shades of green really bring it all together! I love how the creeping jenny cascades over the sides! Thanks Tammy! All this rain has made them so pretty. The creeping jenny is absolutely gorgeous! I’m going to have to be on a lookout for it here in Italy because it’s precisely what I want when I work on my window boxes! YAY! Wishing you lots of luck finding it for your window boxes! Coleus are one of my personal favorites for porch plantings. They have such vibrant colors! 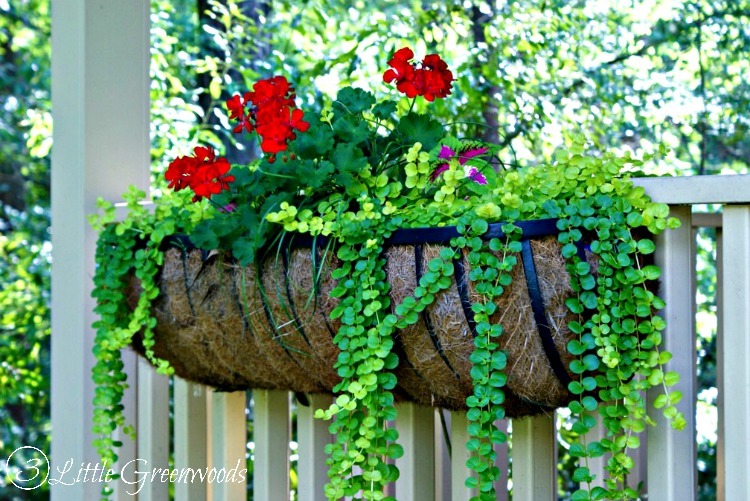 I will have to find some Creeping Jenny this year, they are perfect for hanging. I like to use Portulaca also. Geraniums are my husbands favorite so we always get those too. I’m ready for flower season!! Portulaca? I have never heard on that. I’ll have to look that up on my next visit to the garden center! Thanks so much for the suggestion! I just cannot tell you how helpful this is at the current moment in time! We just bought a house and know nothing, at all, about plants. I have a black thumb but I’m going to pass this along to my guy to use and pin it for later. Thanks! YAY! So glad this post was helpful to you. I love filling our planters each season and watching them grow. They really do add wonderful curb appeal to your home too! 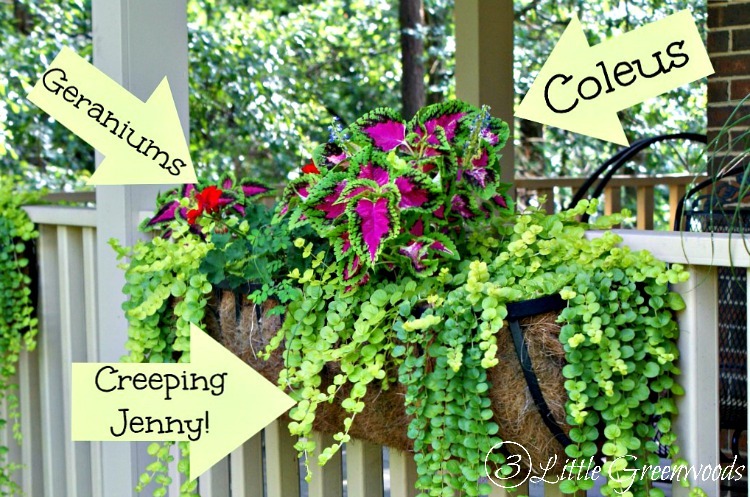 I’ve never used Creeping Jenny in my baskets and now want to after seeing how pretty it looks in yours. Creeping Jenny is fabulous! Plus is comes back year after year. YAY! What a pretty combination of plants! The creeping Jenny really is so pretty draping over the side. Thanks so much for sharing! I’d really love to try this combo out in the future when I’ve got hanging baskets to plant in. Thanks so much for the comment love, Corinna! Wishing you lots of hanging baskets in the future! 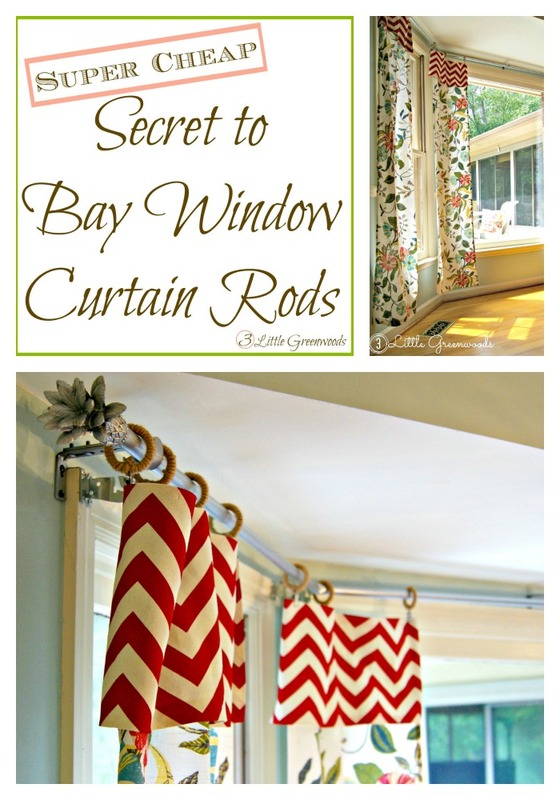 I’ve been getting my bucket list ready to fill my new window boxes and I love these suggestions. Thank you!! Creeping Jenny is a must! It looks so fabulous trailing down from hanging baskets. Love your planters! You did a lovely job picking just the right plants too! These are beautiful! I especially love the Creeping Jenny! Thanks so much, Breanna! Creeping Jenny is my favorite too. I love it’s limey green color! Can’t wait to start playing around with plants this spring. Your planters look fantastic! Thanks so much, Shauna! I can’t wait for more warm breezes! 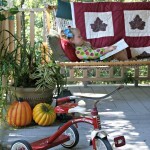 I love our porch swing too! Thanks so much for the comment love! I’m soooo ready for summer but I have a black thumb like you wouldn’t believe. I might have to try this though. Yours are beautiful! Gorgeous! Love the Creeping Jenny! Thanks so much! I love the limey green color of the creeping jenny too! 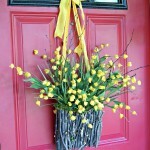 I would love to do this on my front porch! Do you know what size the planter is? Thanks so much for the question. If you click on the planter link it will take you right to different sized planters. I believe our planters are 24″. Good luck with your Spring flowers! Our front porch only gets morning sun so these plants are in shade for most of the day. They love it! 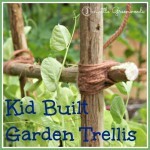 I am so not a gardener, but these are great tips! Like everyone else, I really love the creeping Jenny! I wonder if that work well in some raised planter boxes we have by our front steps. I’ll have to look in to it for our zone! 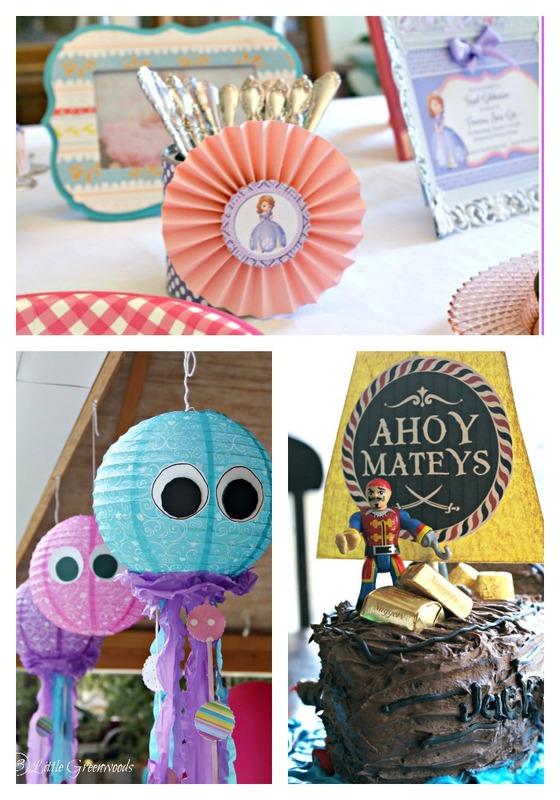 Thanks for the tips, and thanks for sharing at The Creative Circle! 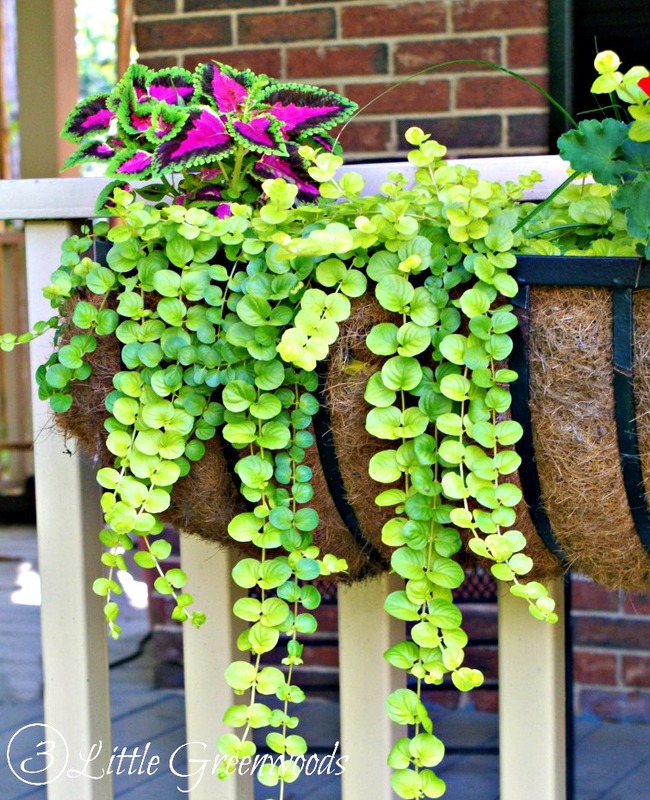 I love the bright green creeping jenny too! It’s so pretty trailing down the sides of the baskets. How does this combo do in Full Georgia Sun? Thanks so much for the question about our hanging flower baskets. Our baskets get morning sun only and do very well. I’m not sure how they would hold up in the full Georgia sun and heat. Love the combination! I happen to have four of these wrought iron hanging baskets that I’ve been trying to figure out what to put in! 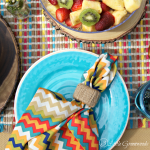 I’m going to take your combinations and they will look wonderful thank you! These are beautiful! Shared and pinned. Hope your wrist is feeling better. Hi! Can you tell me how many of each plant you put in the boxes? Main section so they are easy to work with! 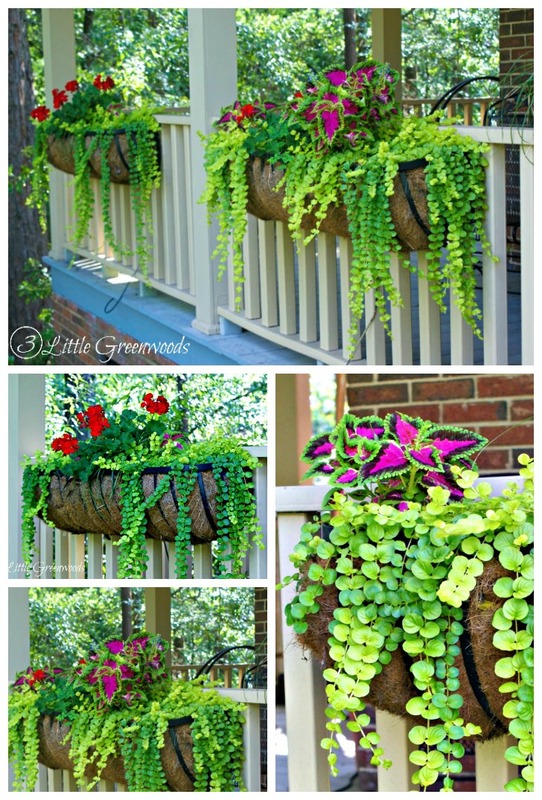 Love the creeping Jenny, will have to go get some! Oh my goodness! Diapers are such an awesome idea. Thanks so much for sharing! Love your planters! I’m refurbishing an old camper, and want to put flower boxes outside. Thanks to you, I now know exactly what to do and what lovely plants to put in them! YAY! It’s so wonderful to hear that you have been inspired by our front porch planters. Thank you! I love your idea! I have one of those hanging basket with coco liner laying around, I think I can try with the similar plants. Question: how do you keep your patio clean from the dripping water of this particular basket? I find after each watering, the excess water drips through the coco liner. Thanks! Hey Linda! I actually lined our hanging baskets with a black trash bag before adding potting soil. That helped to keep the plants watered. Hope this helps! I haven’t read through all comments to see if someone else asked, but I needed to know if these plants need sun/full sun, shade/part shade. I would love on my porch but doesn’t get much sun. Hey Karen! Our planters get direct sun for a few hours in the morning then shade all afternoon. I hope this info helps you. Thank you so much for visiting my blog and for asking your question! I need new coconut fillers for my planters….know where to send me?? Thanks so much for your question, Barb! Here’s a link to the coco liners we used with our front porch planters. If this isn’t the right size, click around a bit to find the ones right for you. Hope this helps! Here creeping Jenny (in iowa it’s called creeping charlie) is an invasive weed that we spend all summer trying to get rid of. Is this a specfic kind? That is a fantastic idea. You have me thinking over here, now! I use to go to a wreath making a party and we would use real pine branches from the yard and wire.